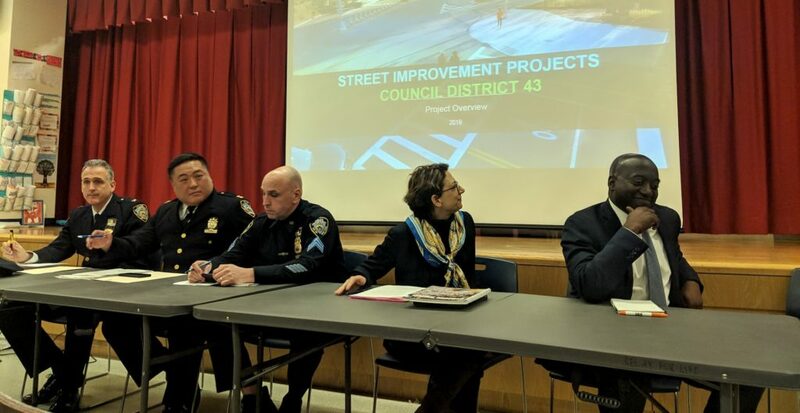 The session started with an introduction by Councilperson Brannan, an overview of the DOT Street Safety toolbox by Mr. Bray, a short overview of enforcement by Inspector Fulton, and a long question-and-answer period from district residents. You can also check out our in-depth overview of some of the items discussed by the DOT in our Street Safety episode, and check out our live tweet of the event. This episode was recorded live at P.S. 264 by Daniel Hetteix and has only been edited for volume and noise reduction.